Bajaj Auto dealerships across India have started accepting bookings for the Dominar 400. Booking amount ranges between Rs 1,000 and Rs 5,000. The bike is expected to be launched around the first week of February. Expect a price hike of around Rs 10,000 to 15,000 over the current model. The 2019 Dominar 400 gets upside down forks, a new exhaust can and much more! Bajaj dealers across India have started accepting bookings for the 2019 Dominar 400 for a token amount between Rs 1,000 and Rs 5,000 depending on the dealership. The updated bike is expected to be launched around the first week of February and deliveries are expected to commence by late February. With the kind of kit the new-gen Dominar offers, we can expect a price bump of around Rs 10,000 to 15,000 over the current model which retails at Rs 1.63 lakh (ex-showroom, Delhi). For 2019, the Dominar 400 gets upside down forks from Endurance, which could be set up on the softer side considering the current model is a little too stiff for Indian road conditions. Other than this, it featured a dual-instrument console with the secondary unit being positioned on the fuel tank. Essentially, the main instrument console is similar to the older bike but now gets tell-tale lights and an additional side stand indicator. On the contrary, the fuel tank-mounted console reads out the gear position indicator, trip meter and odometer. Also Read: 2019 Bajaj Dominar 400: What’s new? The new bike also features a twin-port exhaust muffler which gets a larger catalytic converter insulating a BSVI-compliant engine. 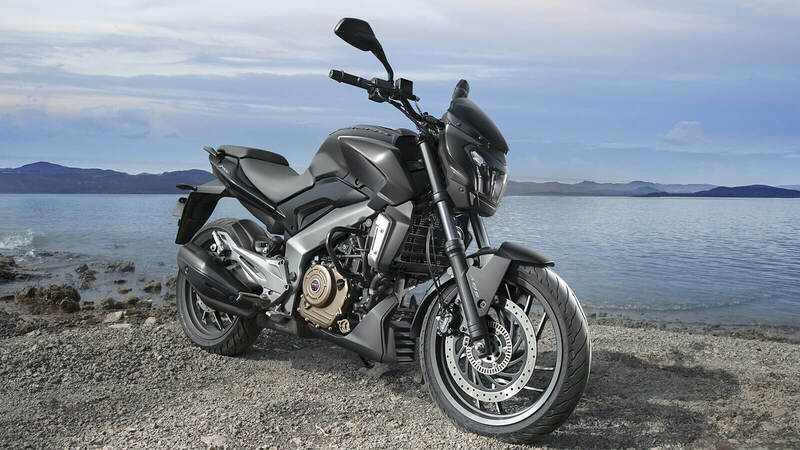 The current Dominar 400 draws power from a 373.3cc, single-cylinder, liquid-cooled motor that generates 35PS of power at 8,000rpm and 35Nm at 6,500rpm. While the current-gen engine wasn’t known to be the most polished unit, we could expect the 2019 version to be slightly more refined and less vibey. The motor comes mated to a 6-speed gearbox aided by a slipper clutch. The 2019 Dominar 400 will continue to employ a perimeter frame with an adjustable monoshock at the rear. It’s likely to retain the same braking setup as before with dual-channel ABS as standard. The Dominar’s 17-inch alloys come wrapped in 110/70-front and 150/60-section rear tyres. These much-needed updates should bring back the crowd who drooled over the CS400 concept that was showcased at the 2014 Auto Expo. Once launched, the 2019 Dominar 400 will compete against the Mahindra Mojo XT 300, Jawa and the Royal Enfield Thunderbird X 350.